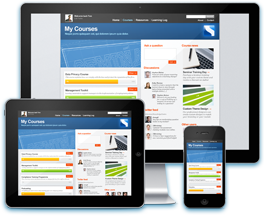 is an e-learning management system featuring a blend of resources and social learning. Knowledge Centre and Seminar Portal allow your people to access the latest information, resources and e-learning through a browser or mobile device. Seminar Portal is an online resource centre with tracking. 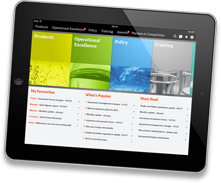 Target an area such as induction, products or compliance. Get your targeted, time-sensitive training out to your distributed workforce quickly. Assign content directly to specific teams or share it across the whole organisation. The Knowledge Centre automatically keeps a complete training history for each user. 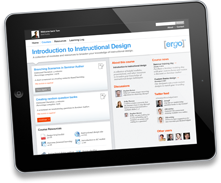 Users and administrators can log additional professional development events through a simple interface. The Knowledge Centre allows you to review quiz and survey results instantly and in real-time. Use your web browser to access score details for quizzes and feedback from your online Seminar surveys. Need to ensure certain items are read? The Seminar Portal keeps a complete record for each user and log completion of mandatory ‘must read’ items. Publish your Seminar Author courses, quizzes and surveys, or other SCORM 1.2 e-learning modules in minutes. But don’t stop there. Add supporting resources like PowerPoint™ presentations, documents, spreadsheets, video and podcasts, discussions, Twitter feeds, or links to your Intranet. When you select a Seminar e-learning product, you tap into a team of training professionals and consultants who have been working in computer-based training and e-learning for more than 30 years. Training can be delivered at your location, in Cambridge, or online. Our e-learning team is waiting to answer your questions and discuss how to get started with e-learning within your organisation. We’ll be glad to demonstrate the software and help you determine what fits your requirement and budget. We can demonstrate all of the Seminar tools for you over the Internet, so all you have to do is connect. ©2012 Acteon Communication and Learning. All Rights Reserved.